The desert is all about extremes. 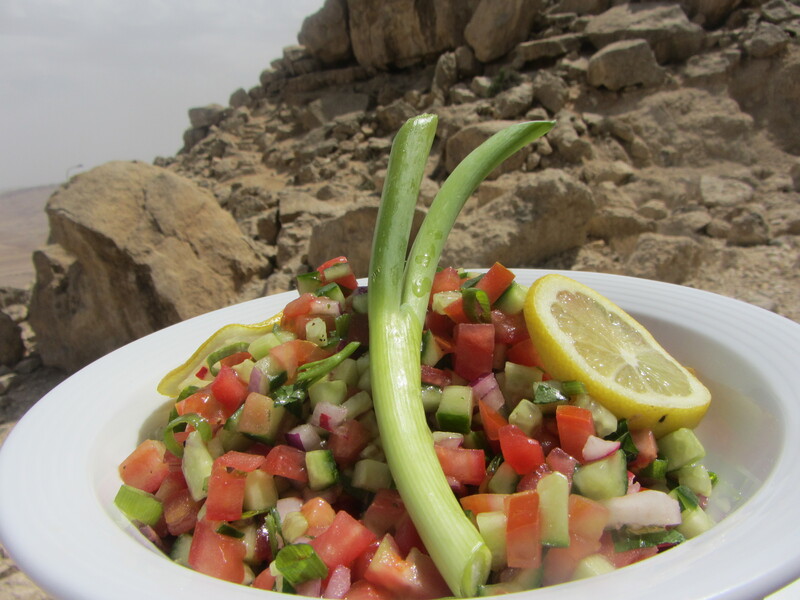 When I arrived in the Negev I began to understand the genesis of the Israeli salad. Its colorful, juicy, smooth parts contrast sharply with the rough, monochromatic, massive boulders of the parched desert. The salad offers what the desert lacks. I savored every citrus-infused mouthful of this one, at Beresheet in Mizpeh Ramon.